1. Open a web browser, type 192.168.1.1 into the address bar, and then press Enter. 2. 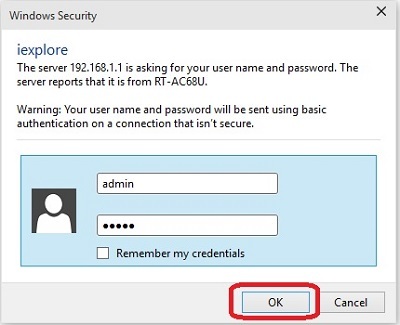 Enter the administrator username and password and then click OK. (The default username and password are both admin). 3. the advanced menu on the left side, click WAN. 4.Next to Connect to DNS Server automatically, click No. 6. Once the addresses are entered, click the Apply button at the bottom of the page to save the changes. Please feel free to contact us at http://support.opendns.com if you need any additional assistance. Also, please download and run our diagnostic tool, and click RUN TEST. After the test completes, copy and paste the URL into this ticket. If you are experiencing difficulties copying the URL from the diagnostic tool, please use the steps at http://www.take-a-screenshot.org to take a screenshot of the diagnostic tool after it finishes.